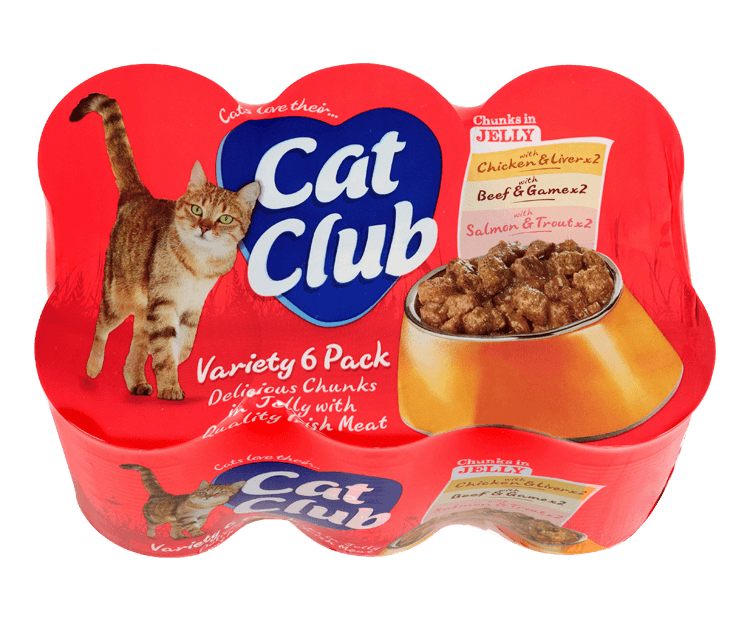 Cat Club contains carefully prepared natural, meaty chunks, in appetising jelly have all the nourishment and essential vitamins and minerals to ensure all round good health and lively energy. 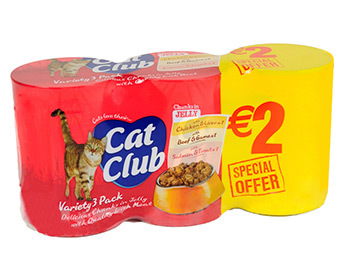 Cat Club 12x400g packs are made with Irish Meat and is fully traceable from farm to can with 6 x Chicken & Liver, 3 x Beef & Game and 3 x Salmon & Trout. 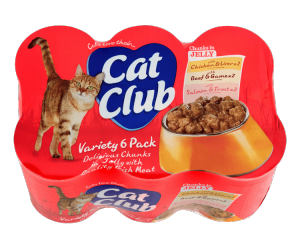 Composition with Salmon & Trout: Meat and Animal Derivatives (Minimum 40%, including 4% Salmon and 4% Trout). Vitamin A 5300 IU/kg, Vitamin D3 530 IU/kg, Vitamin E 7.95 mg/kg, Taurine 265 mg/kg, Zinc Sulphate Monohydrate 151.4 mg/kg, Ferrous Sulphate Monohydrate 35.3 mg/kg, Manganese Sulphate 16.5 mg/kg, Sodium Selenite 1.18 mg/kg. 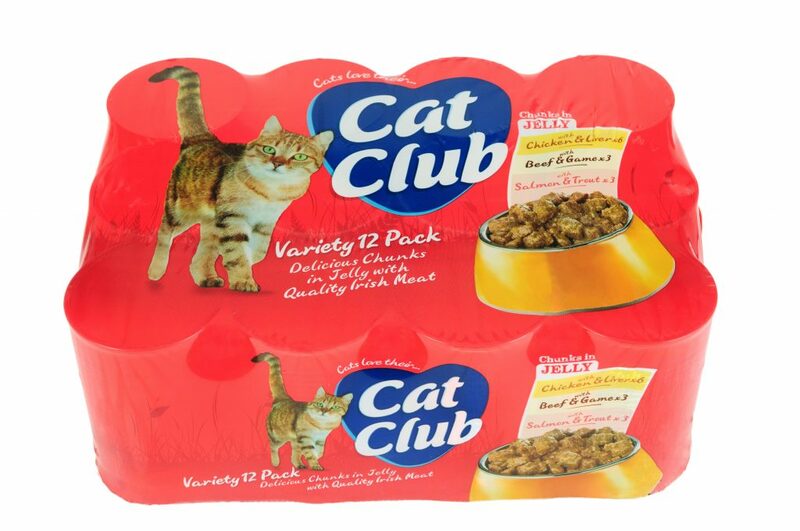 Calcium Iodate 0.84 mg/kg. Technological additive: Cassia Gum 2000 mg/kg.